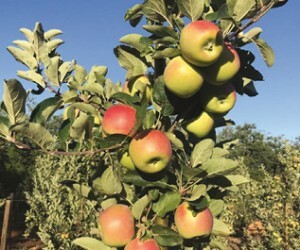 Africa’s premier science institution, the Agricultural Research Council (ARC), will for the first time have its own stand at the annual international trade fair for fruit and vegetable marketing, the 2019 Fruit Logistica, in Berlin, Germany, from 6-8 February to present its new fruit cultivars. 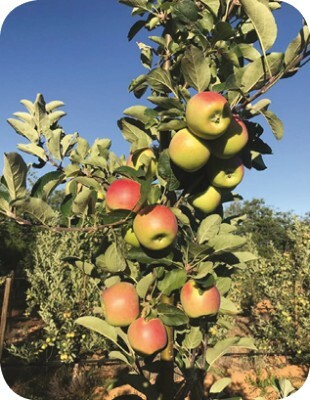 Funded by the Department of Trade and Industry (the dti), the ARC will be part of a South African delegation of fruit producers from across the country who will showcase South African produce to international markets. The institution’s stand at the expo presents the ARC with an opportunity to engage with new and non-traditional markets and partners and is an ideal platform to market its newest set of cultivars. Seven different cultivars will be unveiled and are ripe for commercialization in collaboration with partners. The ARC will also highlight its expertise to produce leading quality material that competes and is highly sought-after globally. The presentation of this new set of fruit cultivars comes on the back of another successful launch last year of the popular Joy-Bell table grapes. The launch of these newest fruit cultivars is another feather in the cap of the ARC that is leading the global agricultural response to changing climatic conditions. The cultivars being unveiled in Berlin have been bred in response to different climatic conditions. This is also an opportunity to display South African fruit products and technologies and their ability to withstand harsh climatic conditions. One of the objectives of the ARC is to grow and develop the agricultural sector that creates new markets, employment, and business opportunities and positively contributes to South Africa’s National Developmental Plan. This is an opportunity to collaborate with the international agricultural community and entice young people to study agriculture and mitigate the global challenge of hunger and malnutrition. The ARC’s participation in the Berlin exhibition is also viewed in the light of the institution keeping abreast of global trends and positioning South Africa as a preferred destination for agricultural investment and agri-tourism. The agriculture sector faces enormous investment challenges especially in the much-needed area of research. The expo presents an opportunity for the sector to collaborate with international agricultural sector partners and players and to share the expertise. The citrus cultivar-breeding programme, which was started in 1974, is mainly focused on breeding high-quality mandarins and niche market cultivars. The ARC’s Tropical and Sub-tropical Campus in Nelspruit, Mpumalanga province is the base of the breeding programme, which is the only citrus breeding programme in South Africa. The objective of the Citrus Cultivar Breeding programme at Addo, in the Eastern Cape, is to develop improved citrus scion cultivars for cooler climates. The ARC has been focusing mainly on high quality mandarins and niche market cultivars. We have also been looking to develop seedless, easy-peel fruit with excellent internal and external quality, in appearance and flavour. The goal is fruit that ripens at a time when there is an opening in the market, such as selections that mature very early or late in the season. Eureka! Seedless LemonTM – the first and only commercial lemon variety to have a consistent zero seed content. ARCCIT1614’ (Valley Gold) – a late maturing mandarin, selected for its attractive appearance and excellent flavour. ARCCIT1519’ (African Sunset) – a late maturing mandarin, selected for its attractive appearance and excellent flavour. Sonet – an early maturing mandarin, which was selected for its excellent fruit quality and time of ripening. ARC Nadorcott – a low seeded variety of Nadorcott (trade name – Clemengold), containing less seed than the commercial Nadorcott (Clemengold). The ARC Infruitec-Nietvoorbij Campus, located in Stellenbosch in the Western Cape, focuses on deciduous fruit, grape vines, alternative crops and indigenous herbal teas. The Campus also focuses on fruit and wine production and is the custodian of grapevine, deciduous fruit and wine yeast gene banks that preserve genetic resources for breeding purposes, training and comparative descriptions. It also boasts a Sterile Insect Technique Programme. Cheeky® – a red blush pear variety marketed and commercialized by Culdevco (Pty) Limited. Rosemarie – an attractive smooth-skinned pear with slight blush and good eating quality. Breeding is a long-term project that requires dedication and commitment. Phase 1 can consist of a term of 7-10 years from the time the cross is made to the first fruit that is evaluated. Promising selections are then taken into Phase 2 where the trees are multiplied and evaluated for three seasons from the time they start bearing. Only after this Phase 2 evaluation can a selection be considered for release as a potential new cultivar. On average, this is a 15-20 year journey from the making of the cross until the release of a new cultivar.